A half diamond set wedding ring with a single row of brilliant cut diamonds mounted in an 18ct yellow gold channel setting. 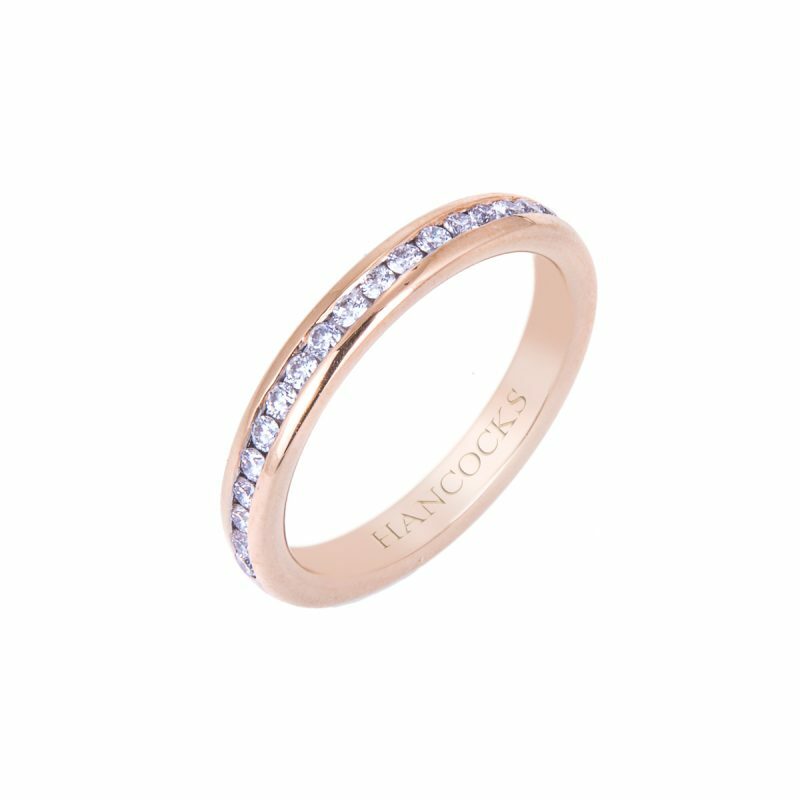 Perfect as a wedding band, eternity ring or dress ring, this is the ideal ring to celebrate that significant anniversary. 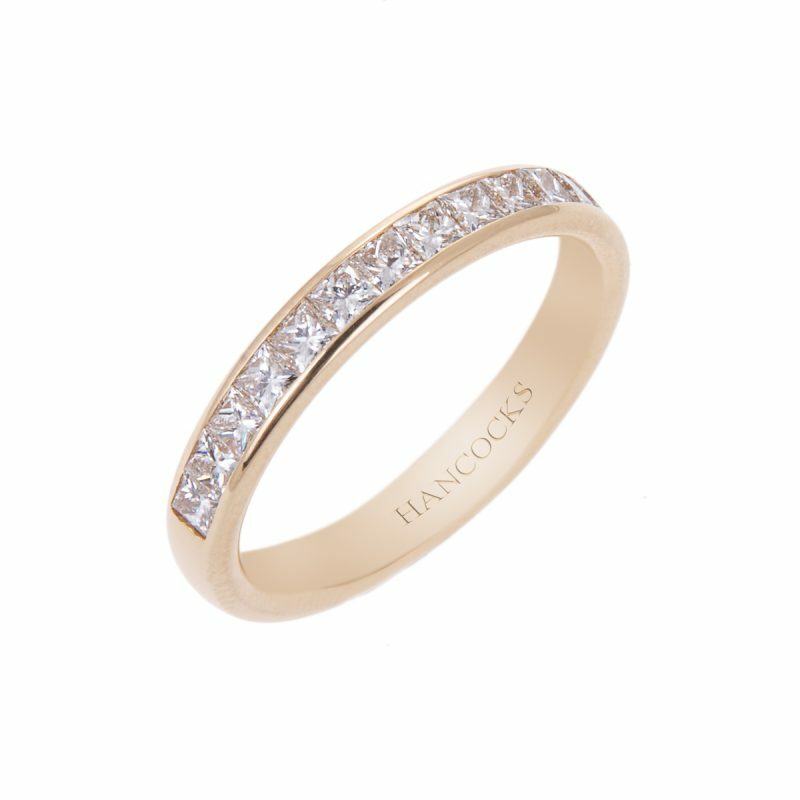 The sparkle of rare white diamonds mounted in a smooth channel encircle the finger in this polished ring. A lasting symbol of love.